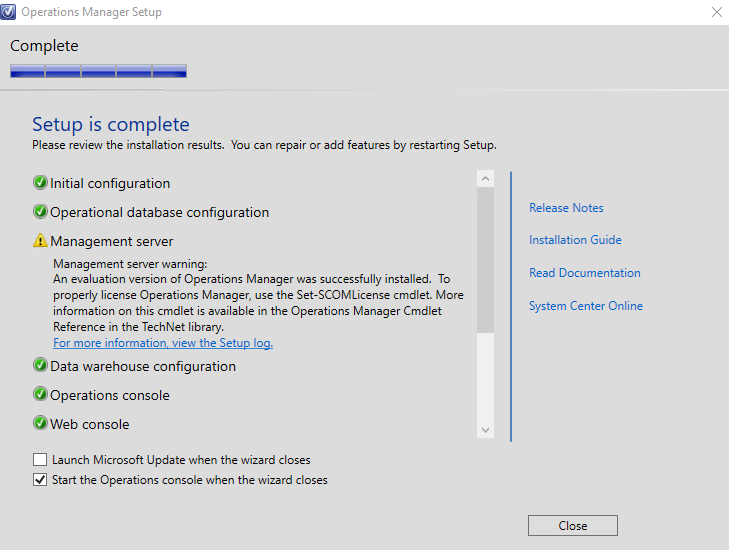 If your System Center Operations Manager (SCOM) 2012R/2016 console has been crashing since updating with the October 2016 Windows Server security updates (MS16-118 and MS16-126), Microsoft has just pushed out the hotfix for this crash. 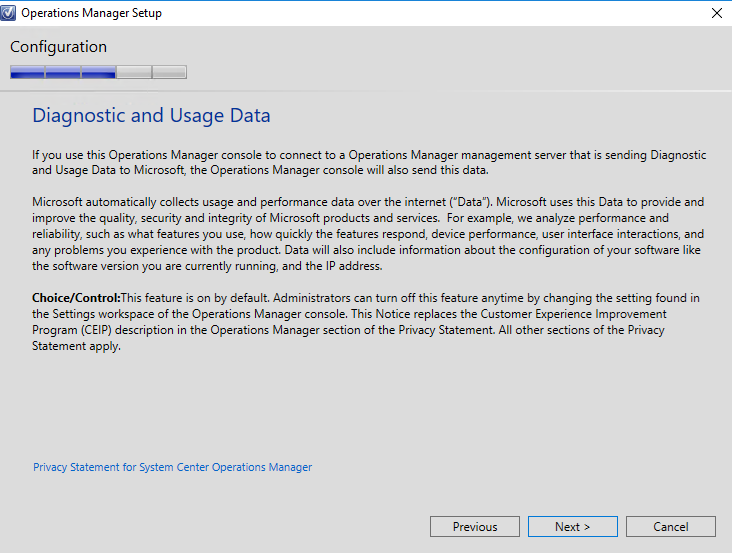 Below step by step procedures below are the steps I took and in no way shape or form do I accept responsibility for any data loss, and/or issues within your environment. 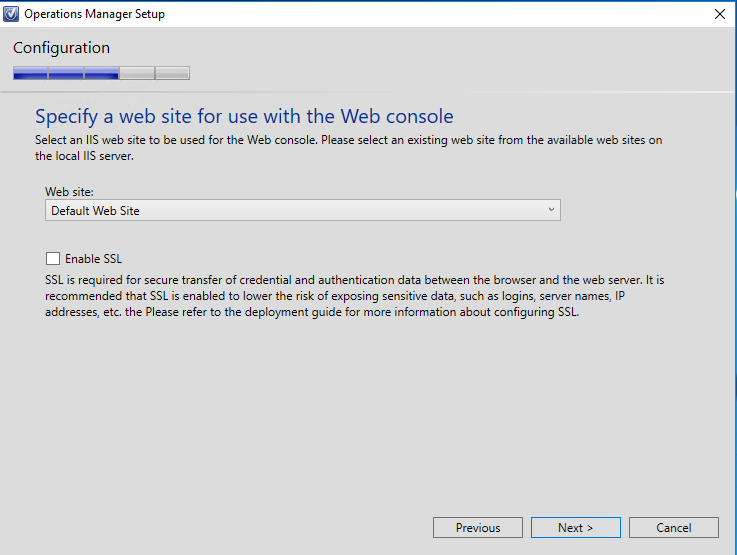 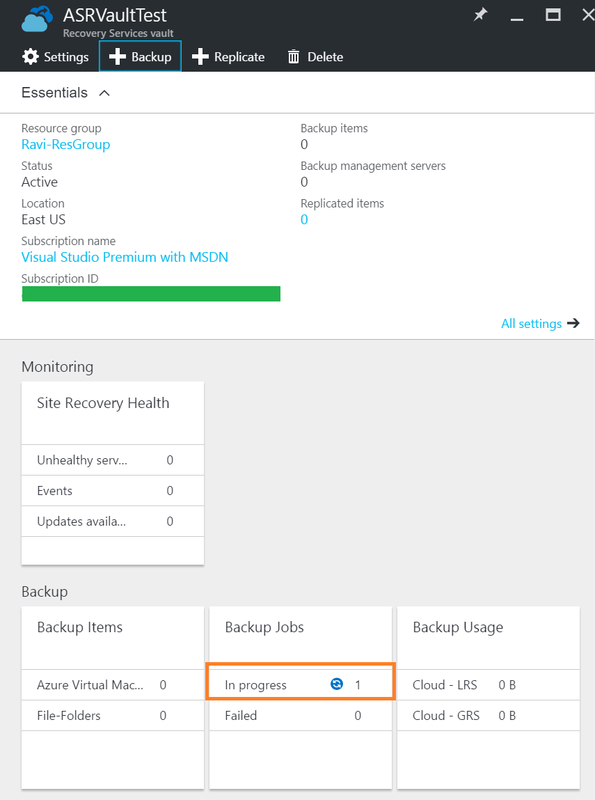 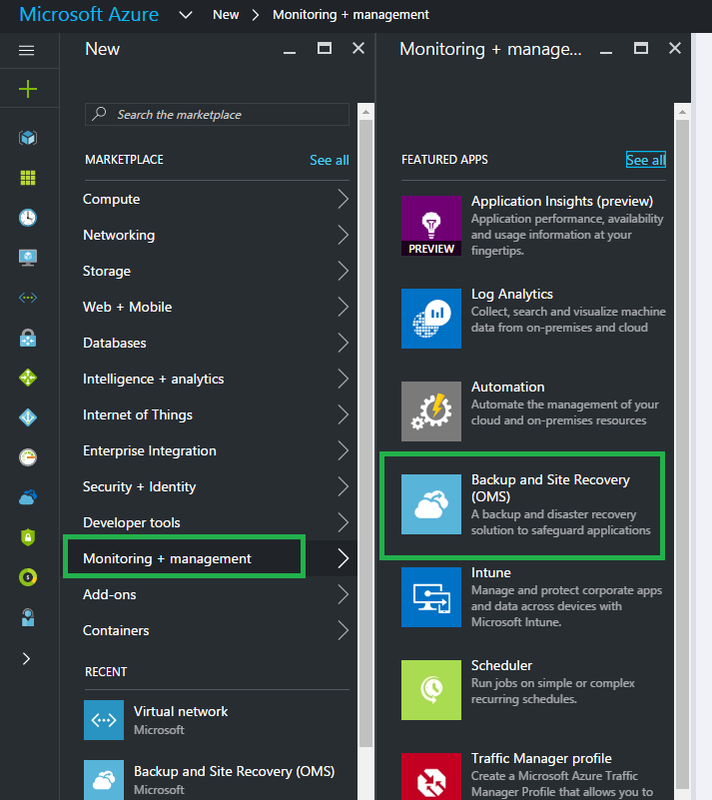 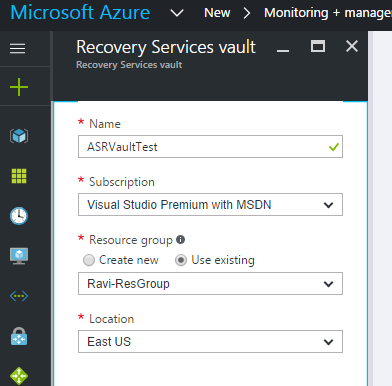 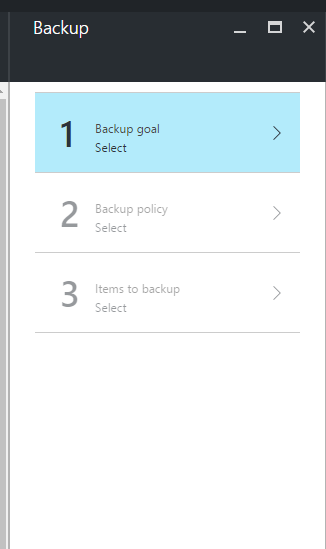 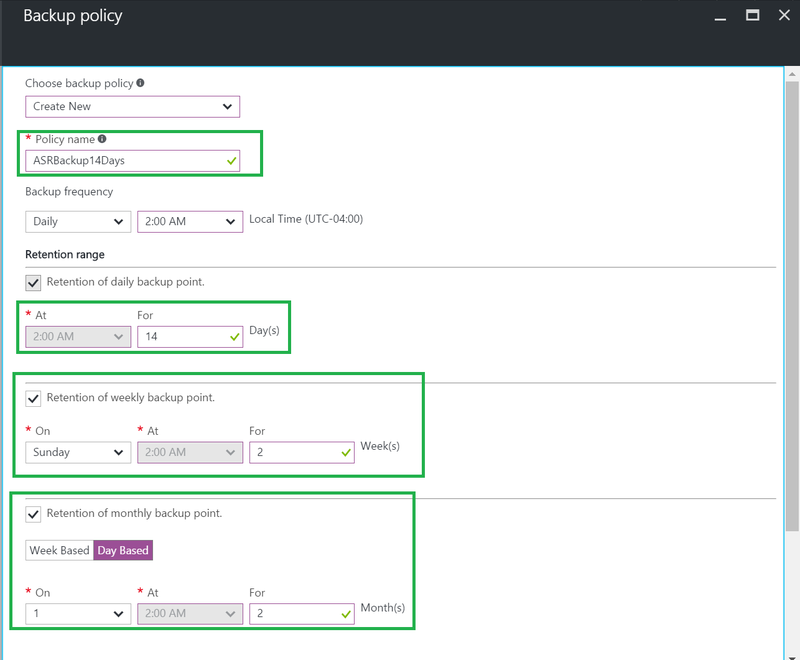 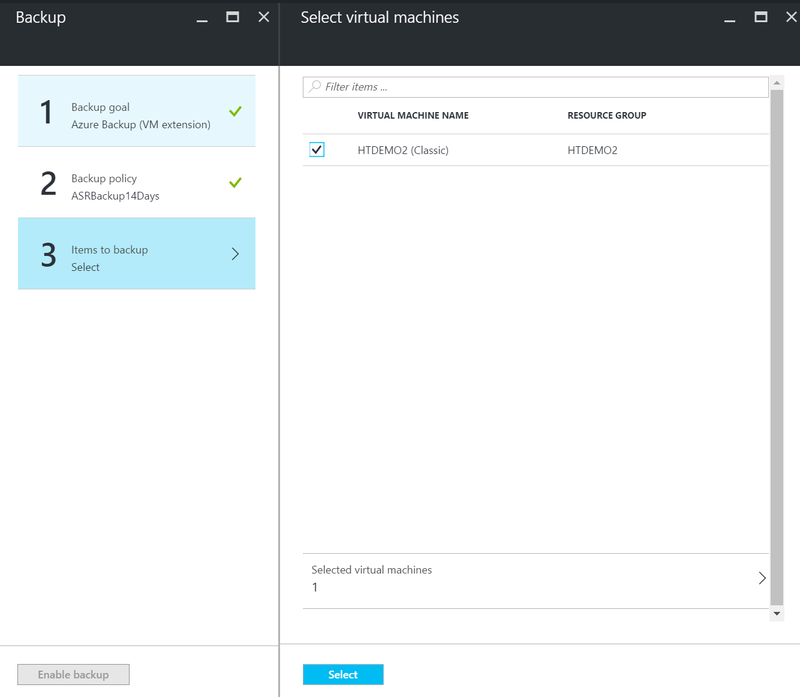 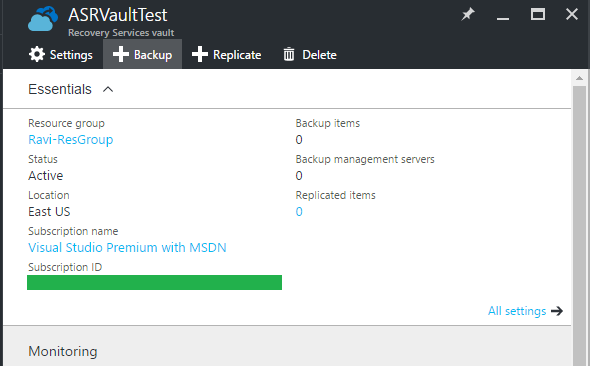 It is advised to always take a backup of your SQL databases and/or snapshots of your SCOM environment(s). 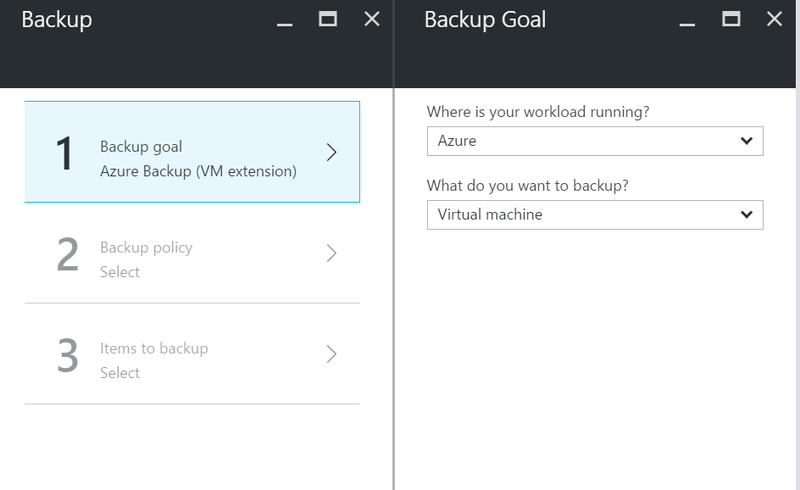 Please take these notes as suggestions. 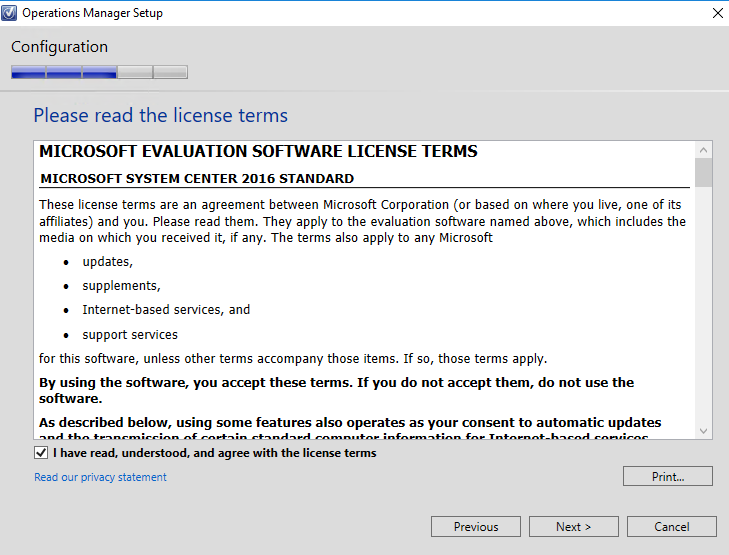 Always refer to Microsoft’s KB (posted below) for full documentation steps. 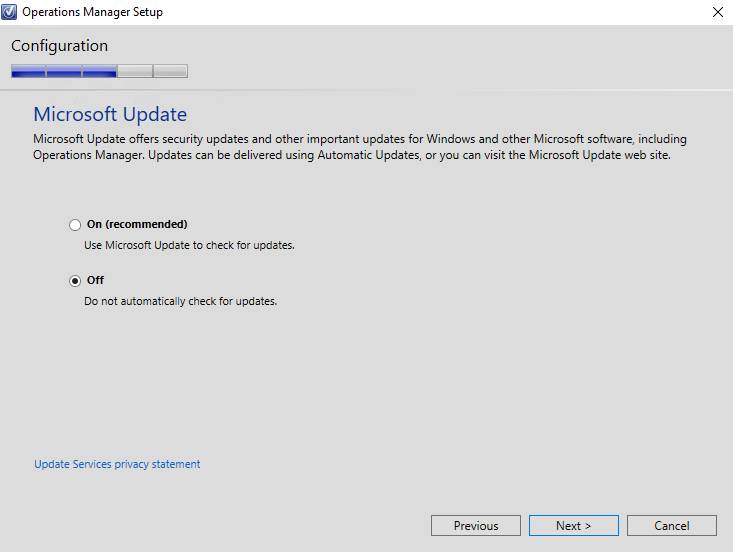 Once you have downloaded the rollup files, I like to extract and only keep the language I need, in this case, ENU (English). 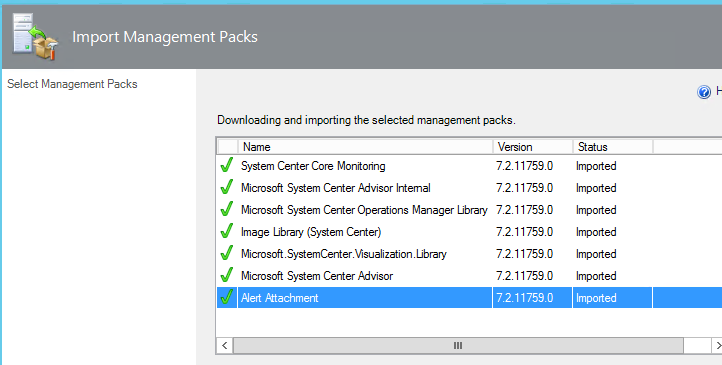 You will need to install these with Administrative rights, I like to use PowerShell as Local Administrator. 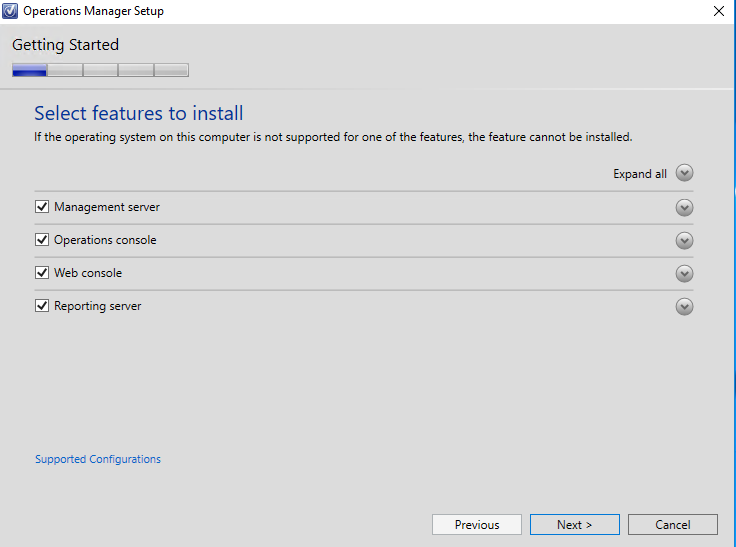 It really does frustrate me, as there is no indication that the rollup installed correctly, (other than looking at the file version number change via File Explorer; Build Number 7.2.11719.0 (RTM) –> 7.2.11759.0 (UR1)). 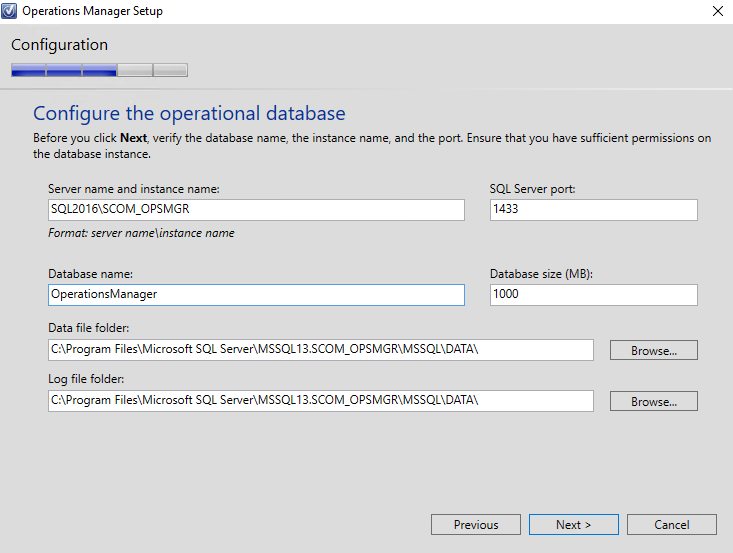 Once the Update Rollups are installed, you will now need to apply the SQL scripts. 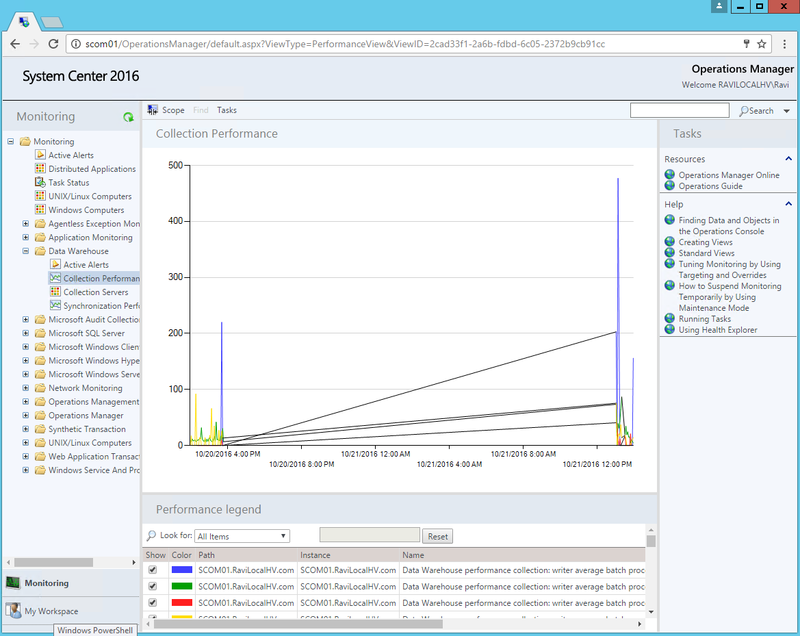 In this UR, only the Data Warehouse is affected.. 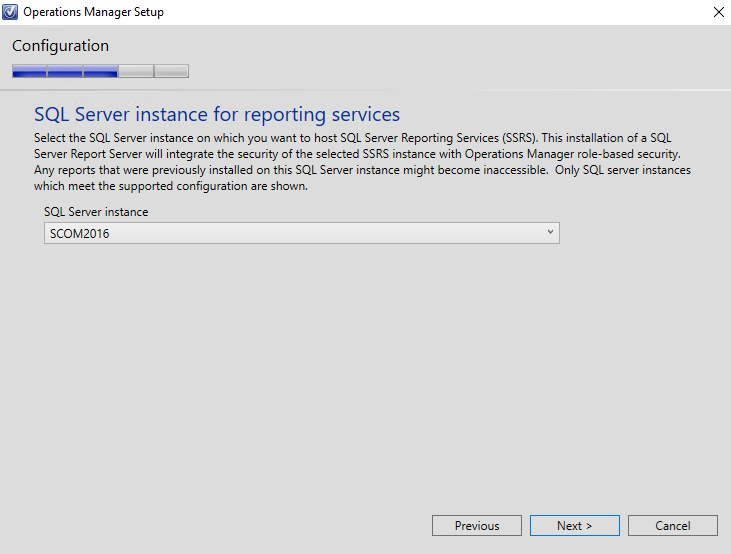 However, before doing the SQL part, I highly recommend rebooting all of the SCOM Management Server(s), as none of the installers requested a reboot. 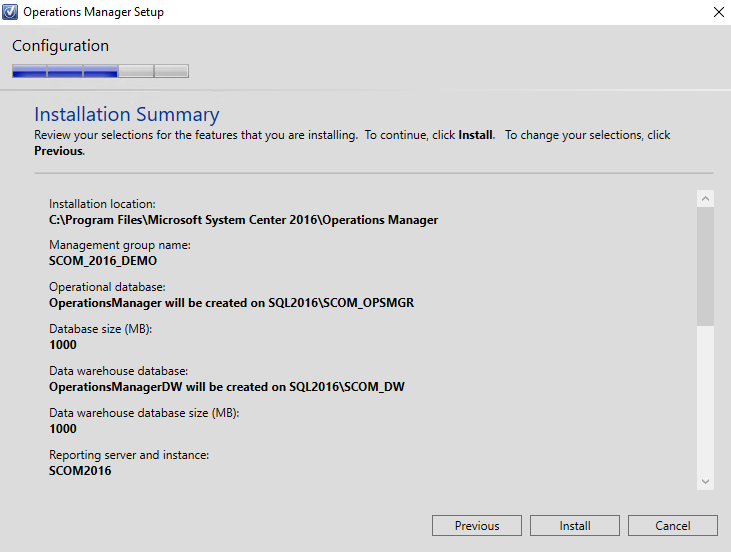 I ran into some errors with the SQL script update. 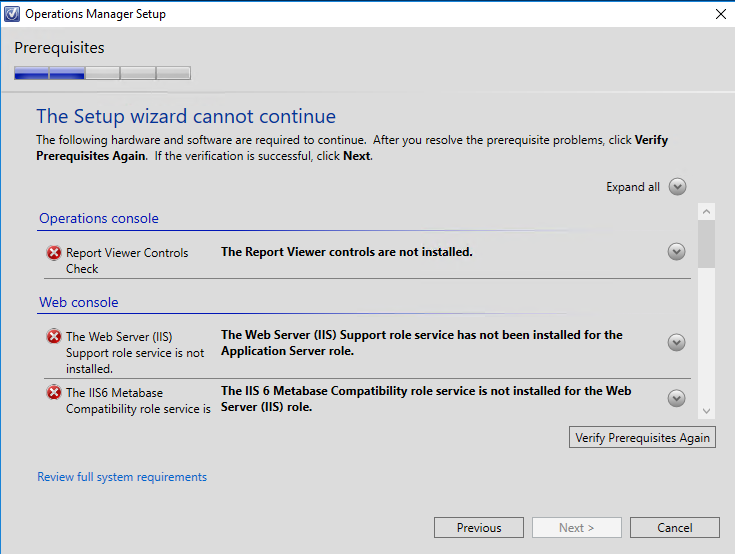 After a reboot, the script executed just fine. 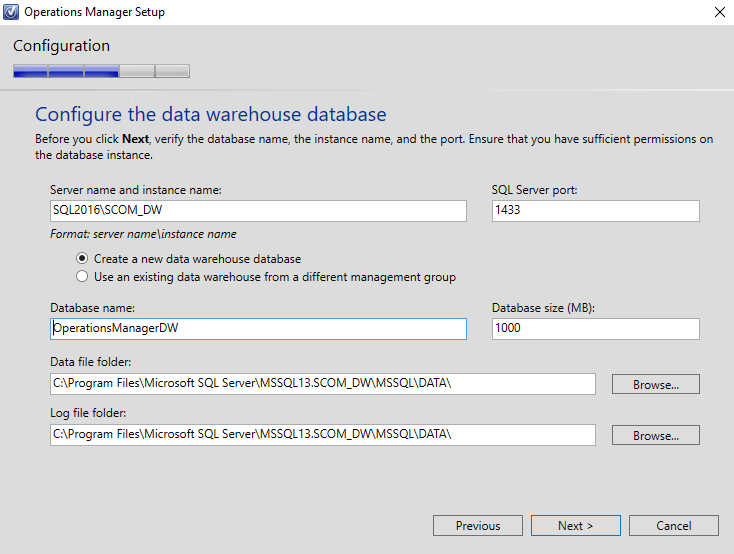 Execute the flowing SQL script on Data Warehouse DB SQL Server against OperationsManagerDW database, UR_Datawarehouse.sql. 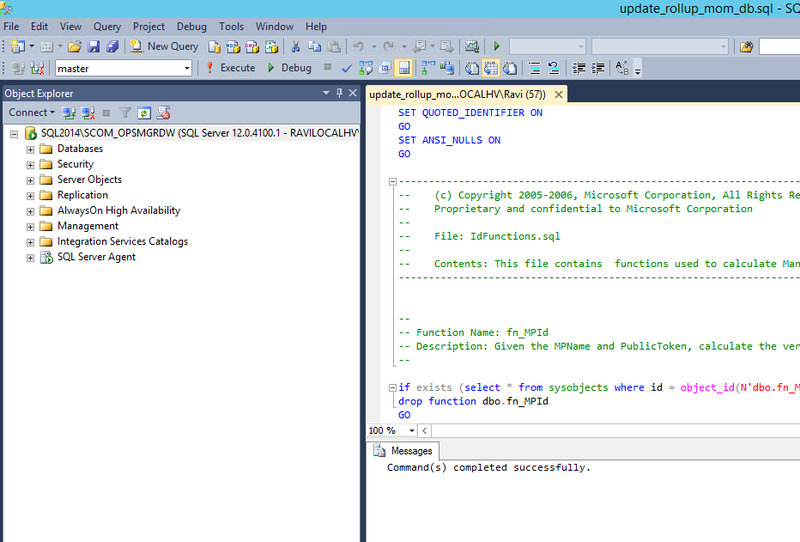 Once you have successfully executed the SQL script, you will now need to import the updated Management Packs (MP). 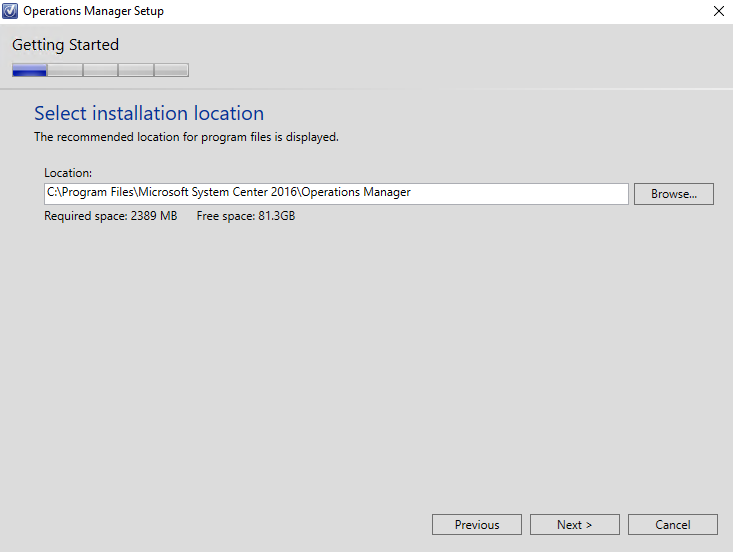 These MPs can be found here, “%SystemDrive%\Program Files\Microsoft System Center 2016\Operations Manager\Server\Management Packs for Update Rollups\“. 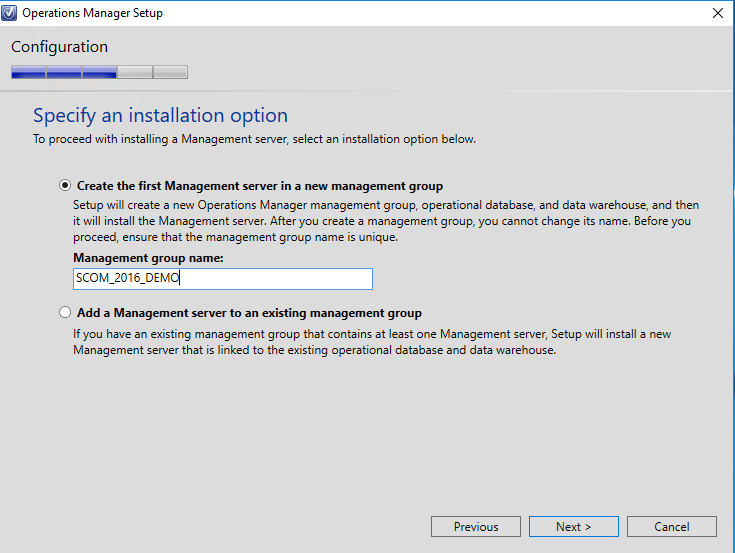 Don’t forget, once the MPs have been imported, you should now go back to your Pending Management view, under the Administrations pane, and update all servers. 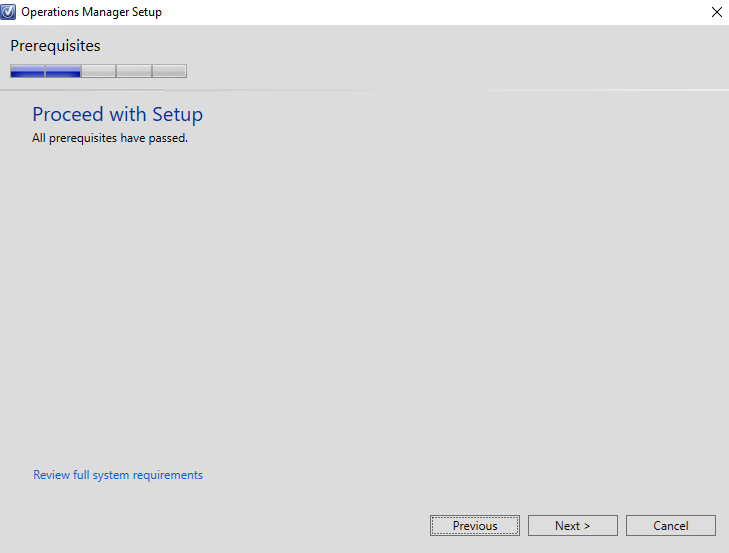 And that is that! 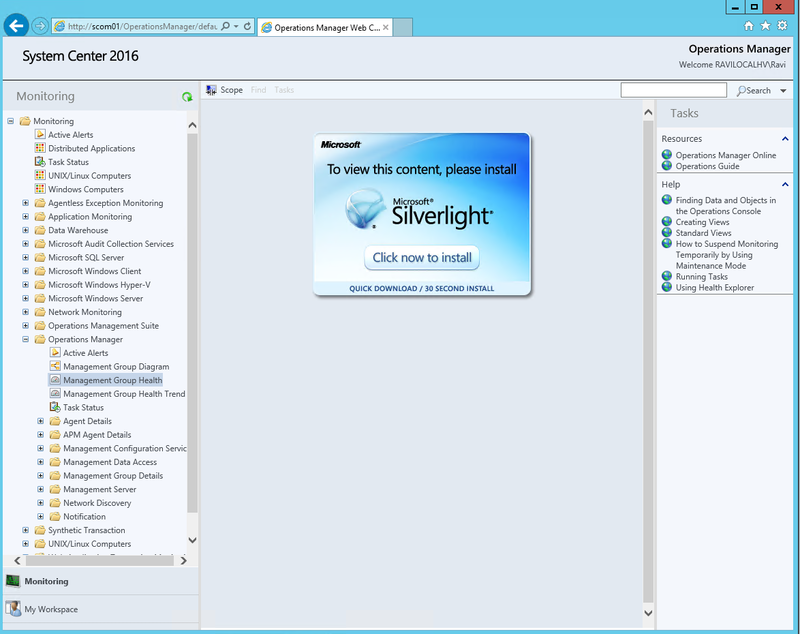 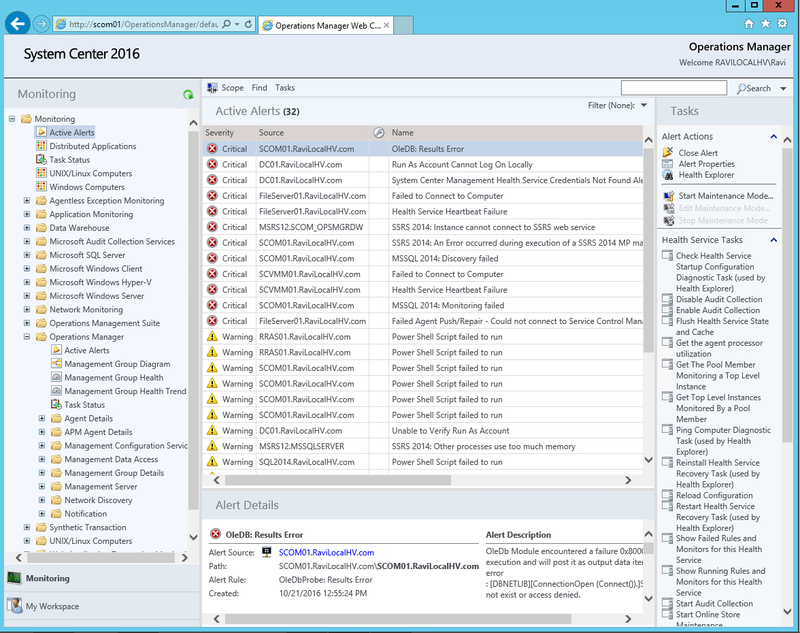 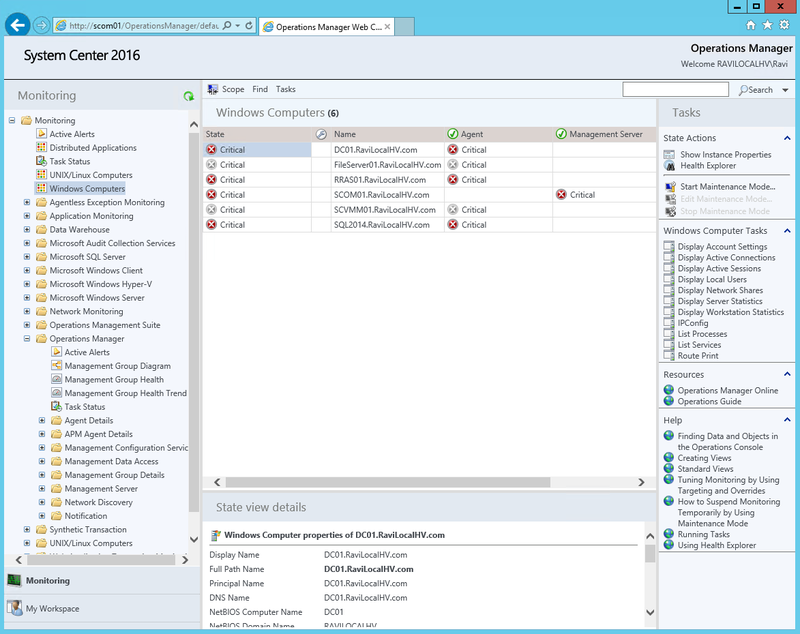 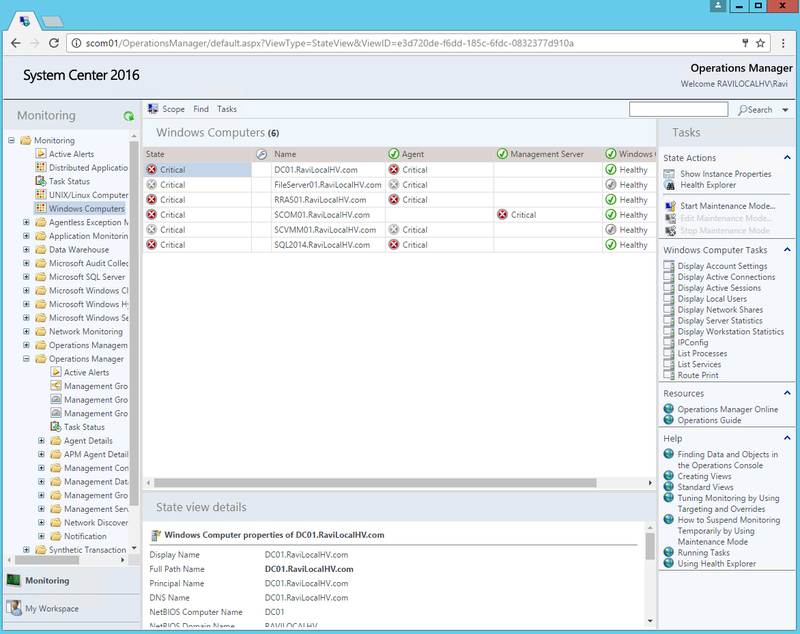 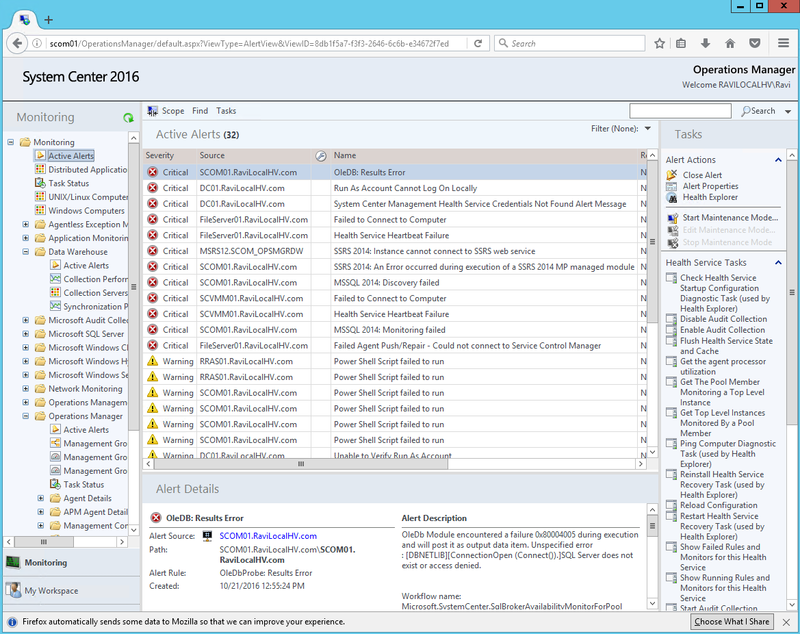 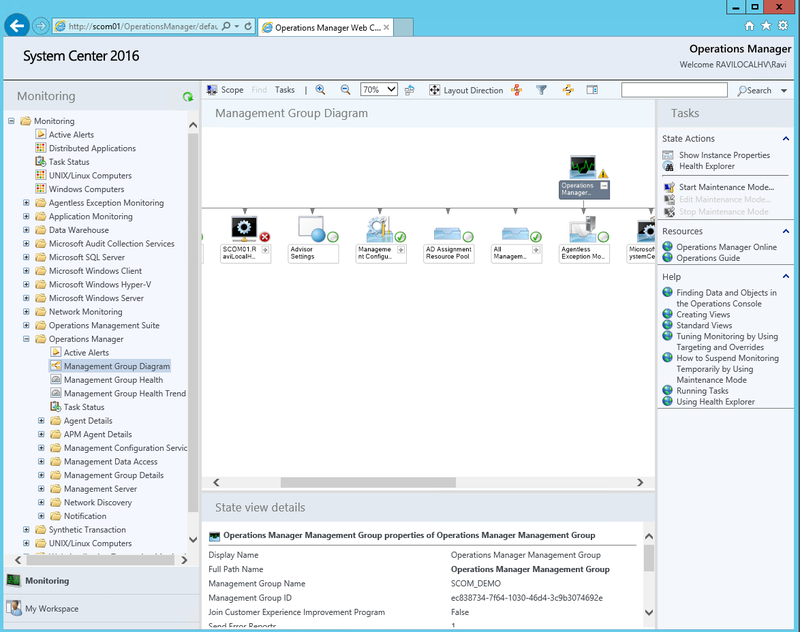 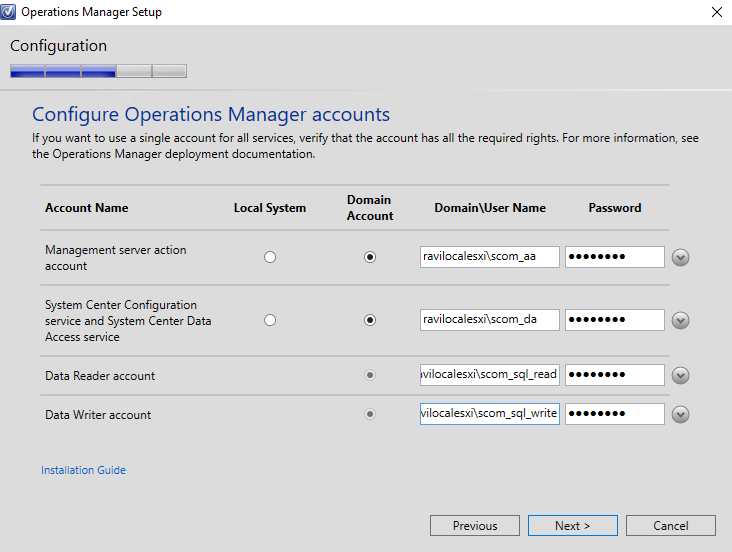 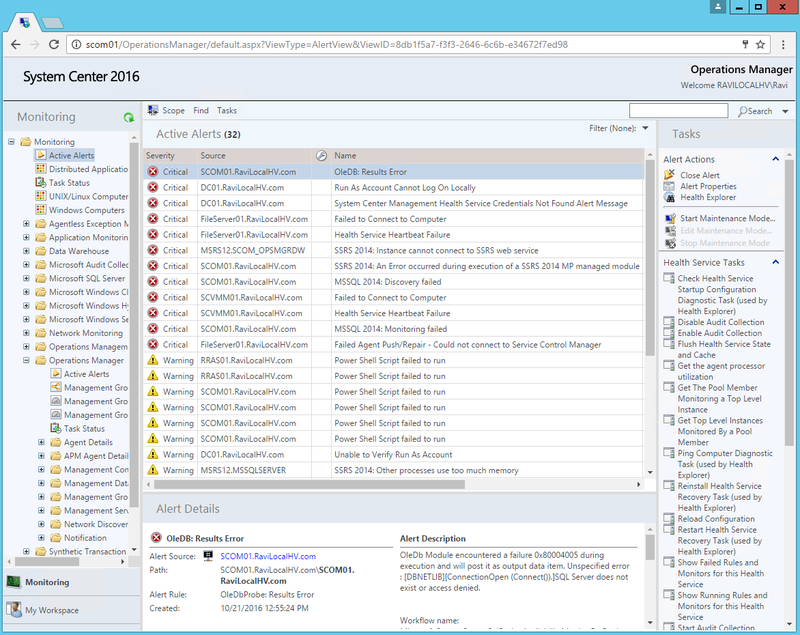 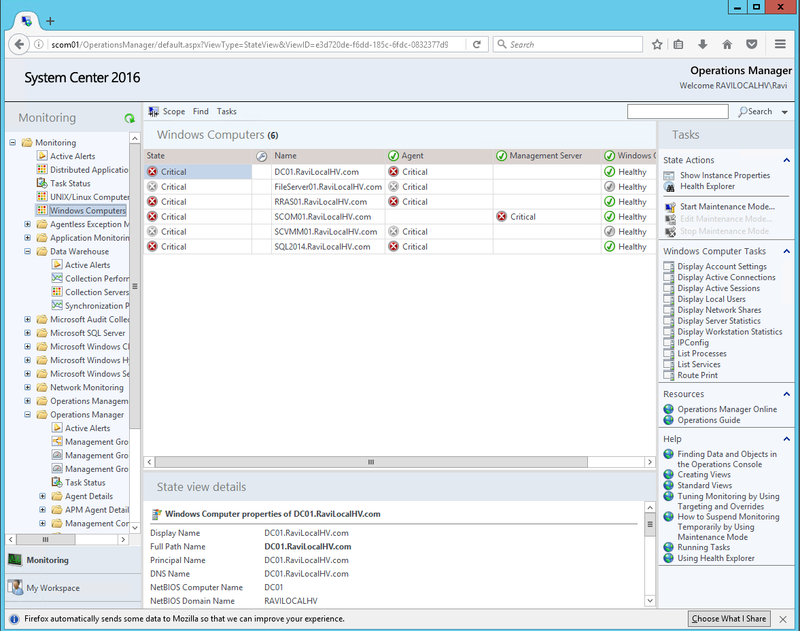 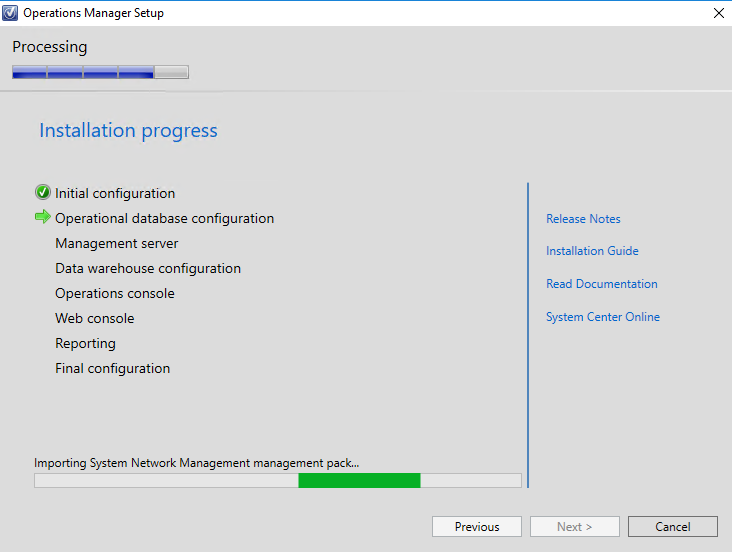 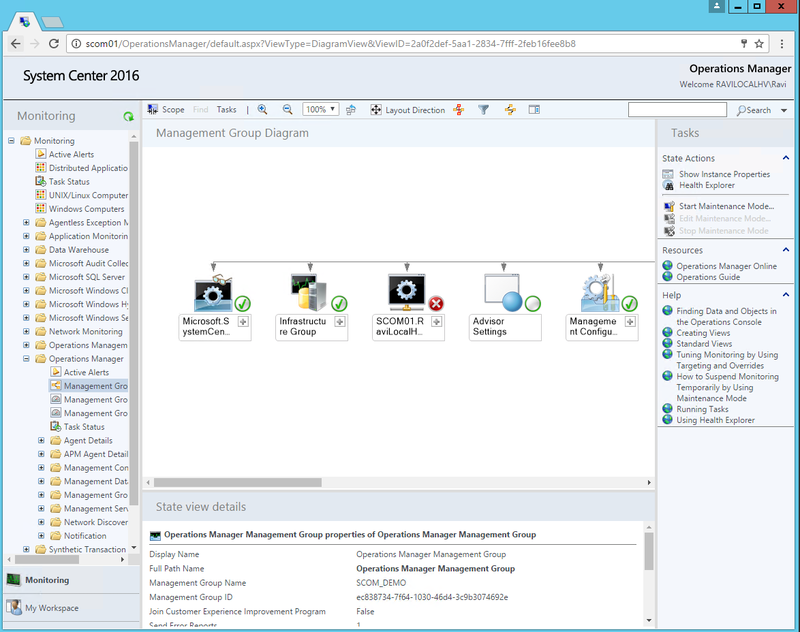 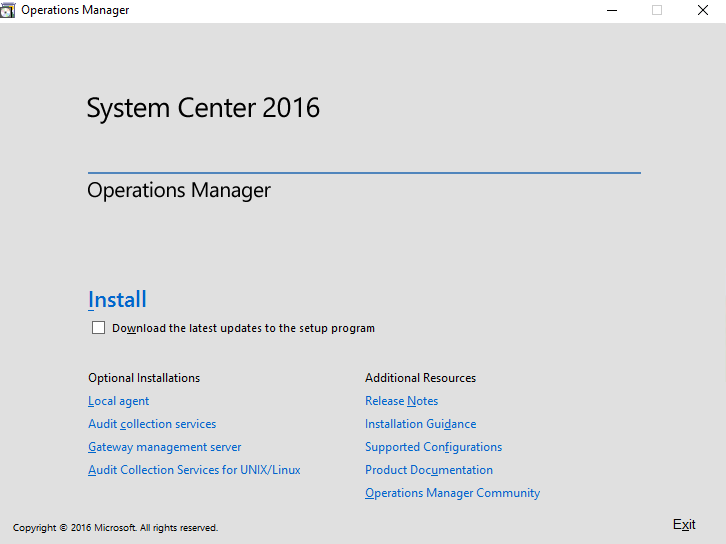 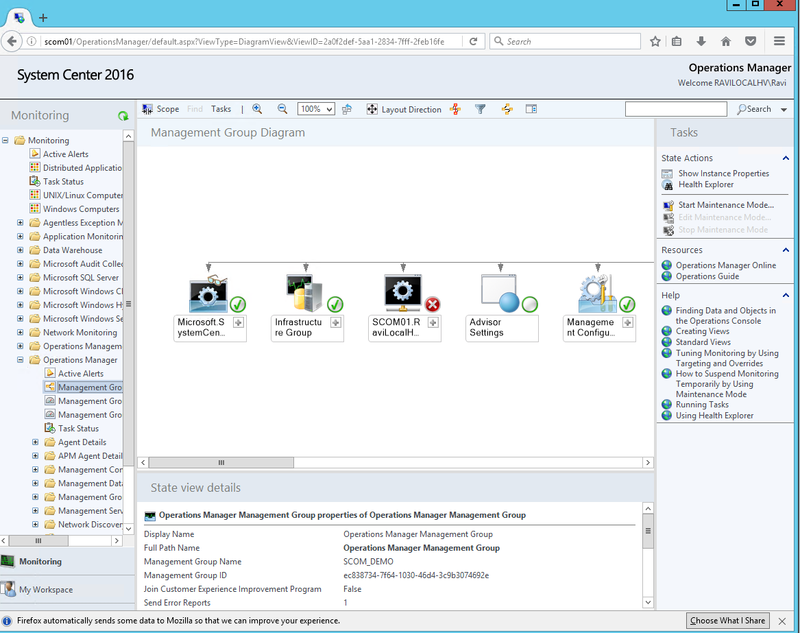 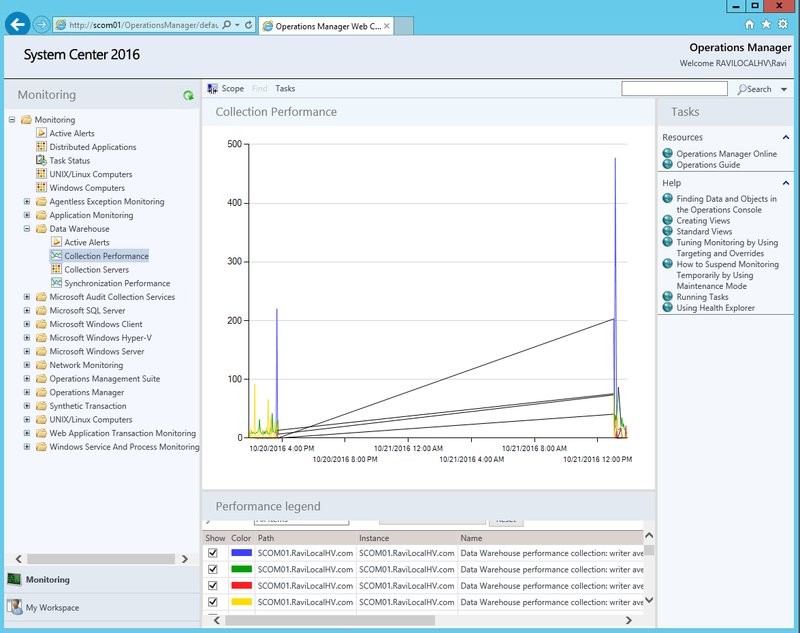 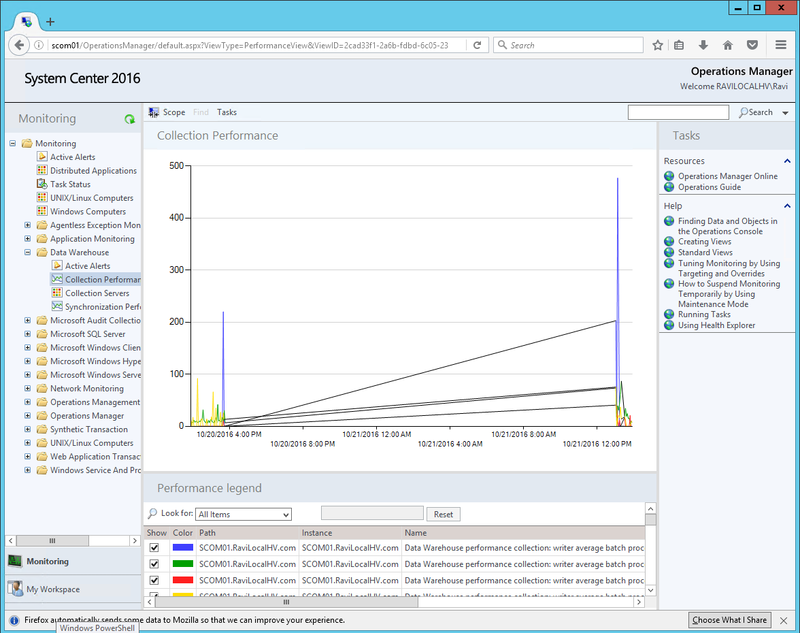 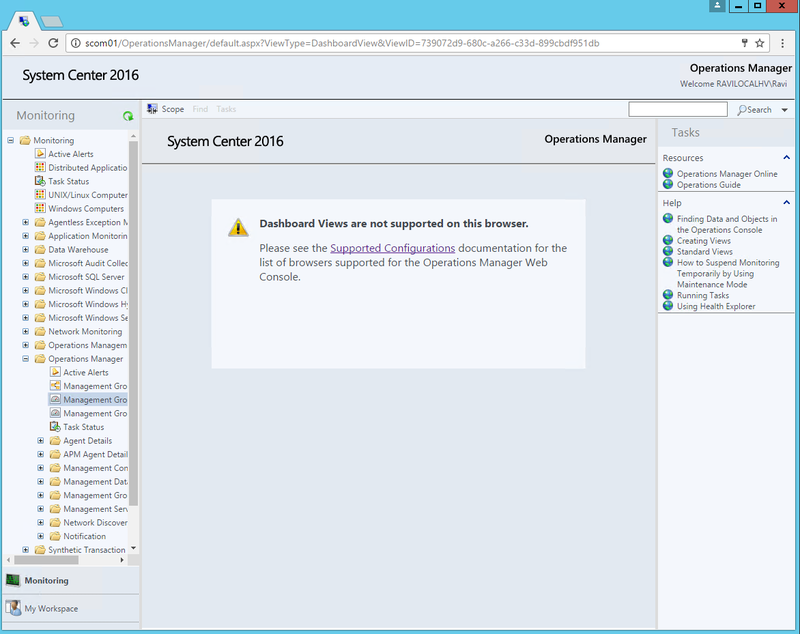 You are now on the latest and greatest System Center Operations Manager release for SCOM 2016. 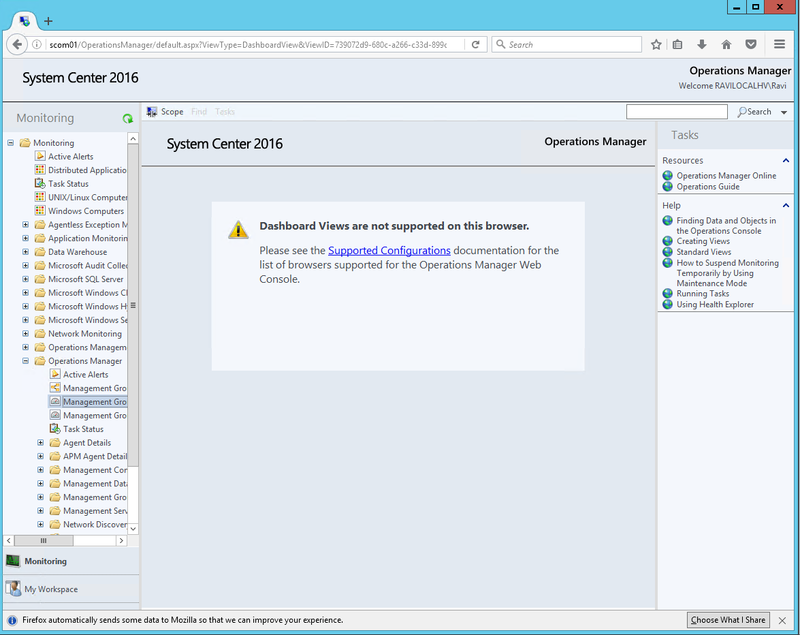 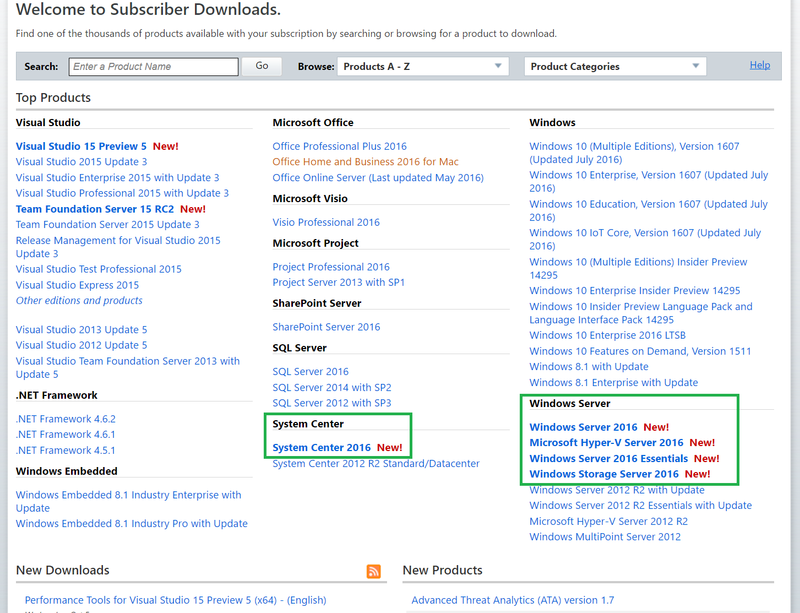 Just logged into my MSDN account, and looks like both Windows Server and System Center 2016 have been released to the general public. 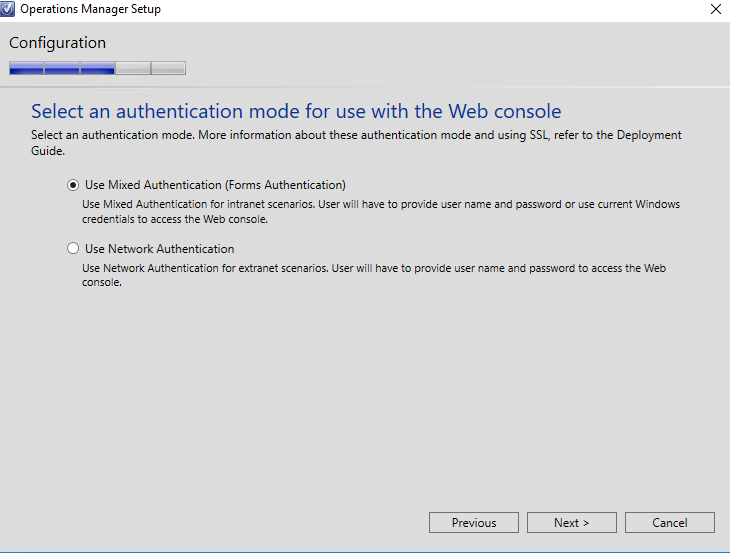 Sweet!